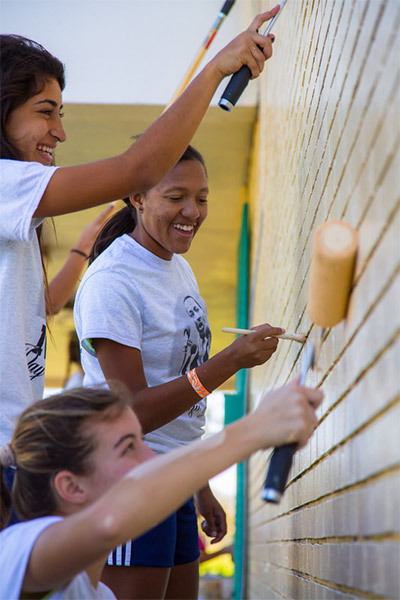 Discover why hundreds of high schools are doing community service the Helper Helper way. 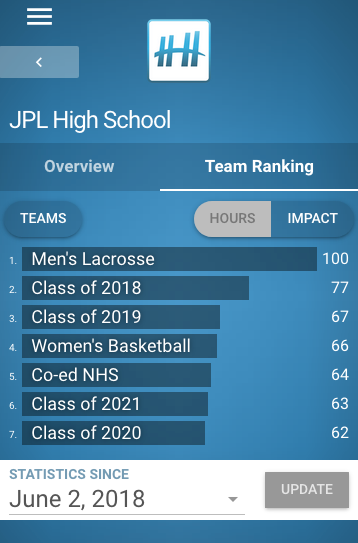 Use your high school's logo and color to give your students an immersive app experience. 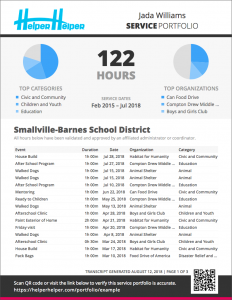 Students and administrators get access to certified, tamper-proof transcripts of volunteer service hours that can be referenced for graduation requirements and college applications. Which is the best performing team at your school? 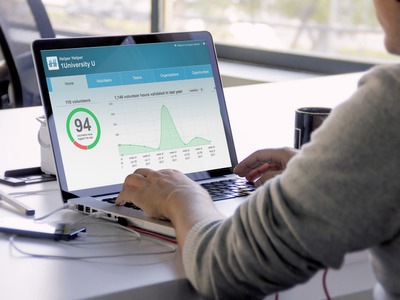 Our detailed reporting platform lets you filter and analyze volunteer hours in detail. Create community service competitions and reward students who excel. Submit the form below to sign up for a free trial of the Helper Helper volunteer tracking platform. 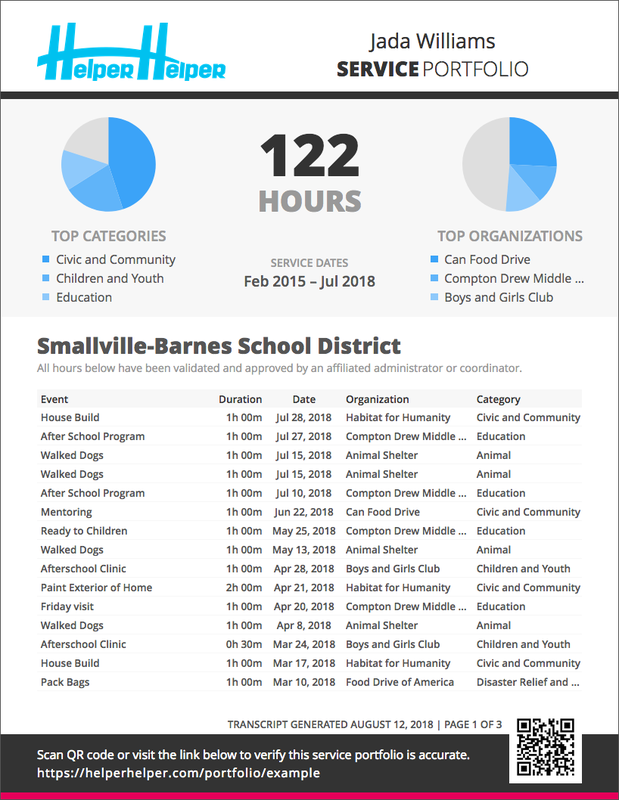 Join hundreds of schools using Helper Helper to track student volunteer hours! Prompt your students to reflect on each experience with custom question prompts that correspond to your service learning curriculum objectives. Join more than 100,000 students tracking their volunteer hours the Helper Helper way. Helper Helper makes keeping it going even easier. 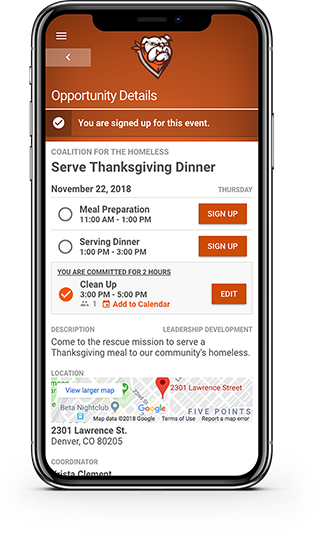 Volunteers use their mobile devices or a computer to sign up for events. You'll love how easy it is to get students participating when all of their options are in one place. Using email and text validation, all of the hours your students submit through Helper Helper get validated. Detailed reports of your community service records help you improve the opportunities you provide.